Storytelling is just what it sounds like – a performer telling a story directly to an audience. No costuming or props required. It’s theater stripped to its barest form. Storytelling has enjoyed a renaissance in recent years thanks to organizations such as The Moth and Massmouth (in Boston), which have promoted telling as an art. Good storytelling requires a thoughtfully crafted narrative and an engaging performance. When done masterfully, performer and audience see the story together in their minds. Katie has told stories in over 100 shows across 9 states. She performs at theaters, clubs, coffee shops, book shops, art festivals, and galleries, telling true stories to grown-up audiences. In stories from 5 to 45 minutes, Katie uses humor and earnestness to probe her own mishaps for some bit of truth to share. Her television appearances include the Mortified Guide to Pop Culture, part of the Mortified Guide series (2018) available on Netflix and Amazon TV, and Stories from the Stage: Stand Up, an episode of the collaborative series from Massmouth and WGBH, which airs on the World Channel. Katie has performed at the Philadelphia Book Festival, the Boston Storytelling Festival, and the LANES “Sharing the Fire” conference. 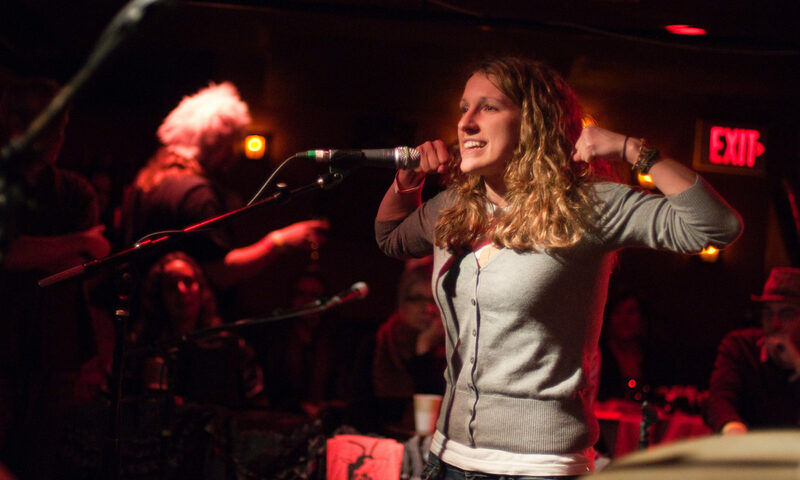 She won the 2016 Massmouth “Big Mouth Off” (Boston’s storytelling finals competition), a 2015 Moth GrandSlam in Milwaukee, and was awarded Massmouth’s Storyteller 2.0 Award in 2011 for “engaging a new generation of tellers.” A profile of Katie, written by fellow storyteller Cheryl Hamilton, is available on the Massmouth blog. She also performs semi-regularly with Mortified and has been featured on the Mortified podcast, distributed through PRX. Below is a sampling of stories Katie has told through Massmouth.